Hbk 256pp. ISBN 9780061730580. HarperOne (2018). A compelling modern biography that reveals the apostle’s greater role in Christian history—as an inventor of new paradigms for how we understand Jesus and what he accomplished—and celebrates his stature as one of the most effective and influential intellectuals in human history. For centuries, Paul has been one of the church’s most widely cited saints. While his influence on Christianity has been profound, N. T. Wright argues that Bible scholars and pastors have focused so much attention on Paul’s letters and theology that they have too often overlooked the essence of the man’s life and the extreme unlikelihood of what he achieved. 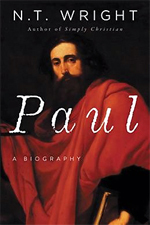 To Wright, “The problem is that Paul is central to any understanding of earliest Christianity, yet Paul was a Jew; for many generations Christians of all kinds have struggled to put this together.” Wright contends that our knowledge of Paul and appreciation for his legacy cannot be complete without an understanding of his Jewish heritage. Giving us a thoughtful, in-depth exploration of the human and intellectual drama that shaped Paul, Wright provides greater clarity of the apostle’s writings, thoughts, and ideas and helps us see them in a fresh, innovative way. 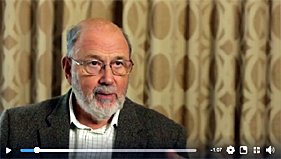 Click the image below for a short video of Tom Wright talking about Paul. Rethinking Heaven, the Resurrection, and the Mission of the Church. Pbk. 352pp. ISBN 9780062089977. HarperOne (2018). 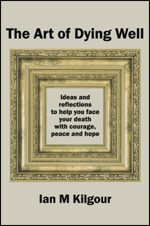 Wright convincingly argues that what we believe about life after death directly affects what we believe about life before death. 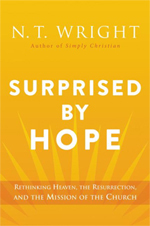 Wright asserts that Christianity’s most distinctive idea is bodily resurrection and provides a magisterial defence for a literal resurrection of Jesus. Wright then explores our expectation of “new heavens and a new earth,” revealing what happens to the dead until then and what will happen with the “second coming” of Jesus. For many, including many Christians, it will come as a great surprise to learn that heaven comes to earth instead of us going to heaven. God’s Command to Speak Out. Westminster John Knox Press (2018). $29.99. 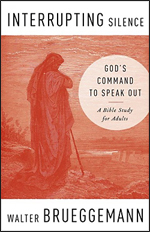 Examining how maintaining silence allows the powerful to keep control, Brueggemann motivates readers to consider situations in their lives where they need to either interrupt silence or be part of the problem, convincing us that God is active and wanting us to act for justice. Interrupting Silence illustrates that the Bible is filled with stories where marginalised people break repressive silence and speak against it. 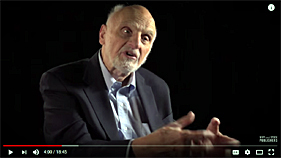 Click the image below for a YouTube video of Walter Brueggeman discussing his academic journey and motivation as an Old Testament scholar. Westminster John Knox Press (2018). $39.00. 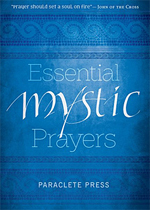 People from all faiths and none, find in the prayers of the mystical traditions expressions that speak to their deepest needs. How the Jewishness of Jesus Can Transform Your Faith. Christians today have a growing fascination with the Jewish background of Christianity. Many people want to understand the land, the culture, and the people so that they can experience in greater depth the richness of their own Christian faith. The book takes into the heart of the first century, looking at the prayers, feasts, history, culture, and customs that surrounded Jesus and those who followed him, offering inspirational insights that can transform one’s faith. Protests, poems and prose for the Christian year. Martyn Percy; Rowan Williams; Malcolm Guite; Jim Cotter. 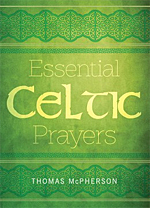 This rich resource for worship, preaching, teaching and personal reflection throughout the year, contains hundreds of reproducible items, including seasonal reflections, stories, homilies, poems and some of Jim Cotter’s last writings as he was being treated for cancer: a moving sequence of prayer poems inspired by the psalms. 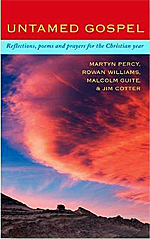 Untamed Gospel complements The Bright Field ($52) and Darkness Yielding ($52), and offers meditations, reflections, stories, prayers and poems for use throughout the church year. 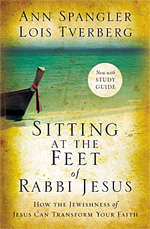 Each one focuses on the startling nature of Jesus’ sayings and teachings, the raw honesty of the psalms and other biblical texts, and on contemporary issues, such as mental health and displacement, seen in the light of the demands of the kingdom of God. 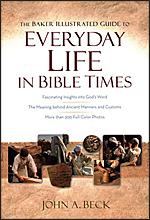 The Baker Illustrated Guide to Everyday Life in Bible Times. A beautiful full-colour resource that illustrates what life was like during biblical times, helping readers gain a deeper and more accurate understanding of the Bible. What was life really like in Bible times? When we read the Bible, we encounter many manners and customs from the ancient world that the first readers of the Scriptures would have been familiar with. But being so far removed from that world, we modern readers often miss the full meaning—both literal and figurative—of biblical imagery. This fully illustrated guide aims to restore clarity and vitality to these portions of God’s Word to help us grasp the full meaning of Scripture. Christian faith, says Martin Copenhaver, is not a subject to be mastered like calculus or Shakespeare; it is a story to be told and a life to be lived. No matter how much or how little you know, this book tells the story of Christian faith and invites you to take part in it. 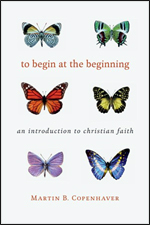 In this book Copenhaver covers basic themes—the Bible, church, ministry, sacraments, prayer, ethics—in a clear and inviting way. His approach creates a valuable resource for pastors, an accessible guide for seekers and new Christians, and a “refresher course” for long-time Christians who want to engage anew with what they believe. What is the church to make of the many new expressions of worship springing up across the world? A gathering of academic theologians, New Worshiping Community practitioners, and leaders from within Presbyterian councils met at Pittsburgh Theological Seminary to start the conversation. Community: Practicing mutual care and accountability. Developing sustainability in leadership and finances. Authentic Communication and Collaboration Across Diverse Perspectives. Ever needed to communicate or even collaborate with someone who just didn’t agree with you or see things as you did? Think there’s only two options: their way to your way? Barrera and Kramer propose a third option inclusive of both ways. 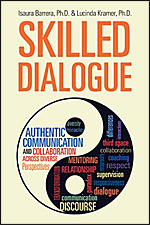 They present an approach that goes beyond “both-and” to arrive at a third option: Skilled Dialogue, a field-tested series of strategies that can transform contradictory interactions into complementary ones. Case examples and sample scenarios allow readers to practice what they’ve learned and provide them with models for their own interactions. An invaluable resource for all who interact across differences, whether professionally or personally, this book will help readers to resolve interactional challenges in ways that allow differences to enhance outcomes rather than detract from them. Spiritual Evolution for a Woman’s Soul. Experience an evolutionary journey with this guide to embracing the light and dark of the archetypal stages of womanhood. Bringing forward Gnostic and mystical teachings, Meghan Don shows you how to work with the seven faces of the Divine Feminine: the light and dark aspects of the Daughter, Mother, and Crone, as well as the enlightened being of one’s true nature. Using reflections, prayers, meditations, and ancient chants, The New Divine Feminine helps you heal your spirit, find liberation, and trust your inner soul voice and vision. 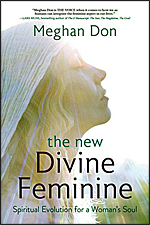 No matter your spiritual beliefs, you can access each divine face and gain empowerment from this guide’s exploration of powerful, sacred women, including Mary Magdalene, Lilith, the Black Madonna, and Teresa of Avila. Why After Ten Years of Talking With Atheists, I’m Still a Christian. No one likes to be told they are wrong; but is that any reason not to listen? 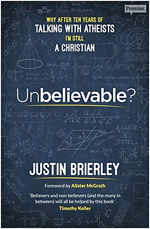 Seeking to burst the ‘Christian bubble’ that many believers find comfort in, Justin Brierley began to invite atheists, sceptics and non-believers onto Premier Christian Radio to unpack and understand the so-called ‘unbelievables’ of the Christian faith. Taking the best from conversations with Richard Dawkins and many more, Unbelievable? the book, invites readers to look behind the scenes at how ten years of talking with atheists, sceptics and non-believers has stirred, shaken but ultimately strengthened Justin’s own belief in the not-so-unbelievable Christian faith. This book invites readers to unpack some of the most common objections to Christianity, equipping them to respond to sceptics and better understand the reason for their faith. Divinity Is What We Think, Faith Is What We Experience. Humankind, society, and cultures have progressed over the past 2000 years, but the Church seems to have not kept up. Is it the Church’s obligation to adapt? Yes, if it wants to continue to be considered relevant. Today we have a great deal of accumulated knowledge and scholarship that at least suggests some of the Church’s teachings are open to question—which produces scepticism, which in turn erodes faith. 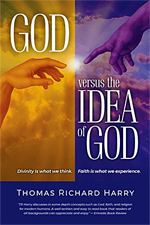 This book is intended to respectfully address these questions from a lay perspective, for the benefit of other lay-persons of all ages and conviction. 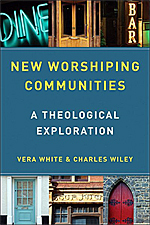 The Dynamics of Worship and the Human Community. 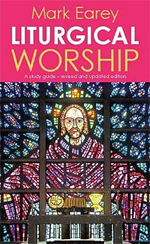 This is an essential introductory to liturgy for both ordinands and trainee lay readers – indeed for anyone who finds themselves having to plan or lead public worship. 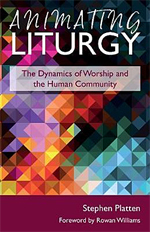 Well-known worship writer and speaker Mark Earey has written this book both for lovers and loathers of liturgical worship – and for those who want to discover it for the first time. Patterns of reading scripture in worship; using music and song; and how to use words and silence in worship. Liturgy Distilled from Daily Life. All of life is liturgy. 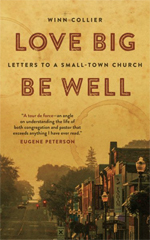 People encounter God as they live, work, and play in human communities and as they work to sustain the health of communities and the ground on which communities are built. Liturgy is distilled from everyday life when we peer through the mist and see the sacramental and spiritual dimensions of daily actions, objects, conversations, and events. 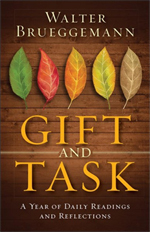 Jill Y. Crainshaw explores this dimension of spirituality and celebrates the ways God’s sacramental gifts and presence arise from and return to everyday human experiences. “Reading When I in Awesome Wonder is a sheer delight! 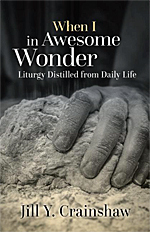 Rich in stories, metaphors, and imagery, this book takes the holy stuff of worship (bread, wine, water, hope, awe, relationships) and grounds it in the everyday stuff of life (food sources and food scarcity, water sources and water contamination, hopelessness around the great issues of our day). The conversation between these two greatly enhances how we view what we do in worship and reorients us to what we might do differently in worship, but it also allows us to see how the stuff of our everyday lives is truly holy—given to us for the work of God in our communities and in the world. 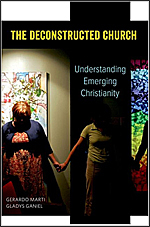 Drawing on ethnographic observation of emerging congregations, pub churches, neo-monastic communities, conferences, online networks, in-depth interviews, and congregational surveys in the US, UK, and Ireland, Gerardo Marti and Gladys Ganiel provide a comprehensive social-scientific analysis of the development and significance of the ECM. The Emerging Church Movement (ECM) is a creative, entrepreneurial religious movement that strives to achieve social legitimacy and spiritual vitality by actively disassociating from its roots in conservative, evangelical Christianity and “deconstructing” contemporary expressions of Christianity. Emerging Christians, they find, are shaping a distinct religious orientation that encourages individualism, deep relationships with others, new ideas about the nature of truth, doubt, and God, and innovations in preaching, worship, Eucharist, and leadership. 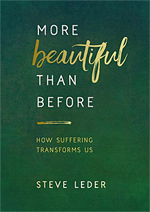 Rabbi Leder examines the many ways we can transform physical, psychological, or emotional pain into a more beautiful and meaningful life. Every one of us sooner or later walks through hell. The hell of being hurt, the hell of hurting another. The hell of cancer, the hell of a reluctant, thunking shovel full of earth upon the casket of someone we deeply loved, the hell of betrayal, the hell of betraying, the hell of divorce, the hell of a child in trouble… the hell of knowing that this year, like any year, may be our last. We all walk through hell. The point is not to come out empty-handed. 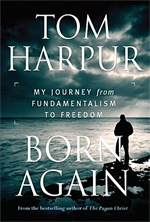 My Journey from Fundamentalism to Freedom.